I needed to stay hydrated so I went to the beverage case and this vitamin water caught my eye. 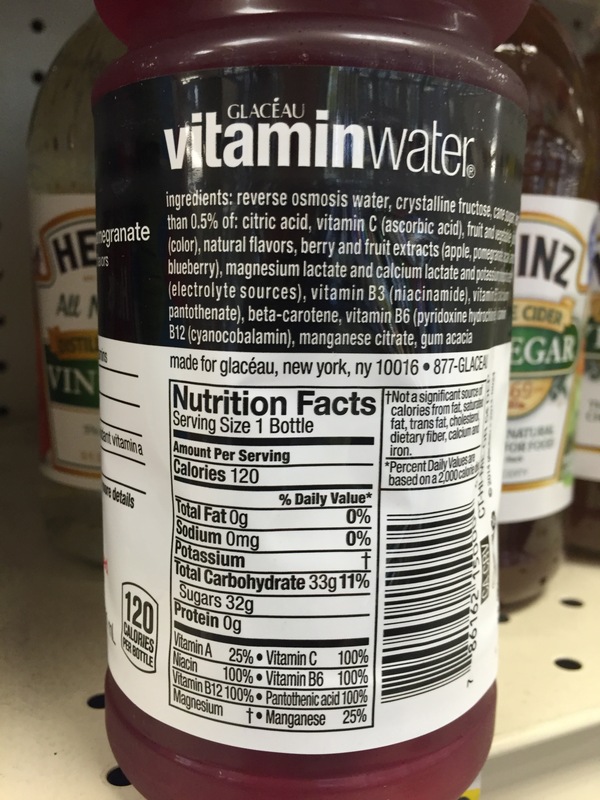 What is the crystalline fructose along with cane sugar and can a bottle of vitamin water really have 32 grams of sugar? This does not sound like a wise choice to me! They are both made from the same starting material: corn. In the U.S., this is an abundant and cheap source of fructose which is a plant sugar which is responsible for making many fruits naturally sweet. Yes, it seems that plain water is a better choice. This entry was posted in Eat Real Food and tagged Just drink water. Bookmark the permalink.